What’s most important at any desi wedding? The couple (read bride :P) who is getting married, of course! But it’s their friends and cousins that come a close second. 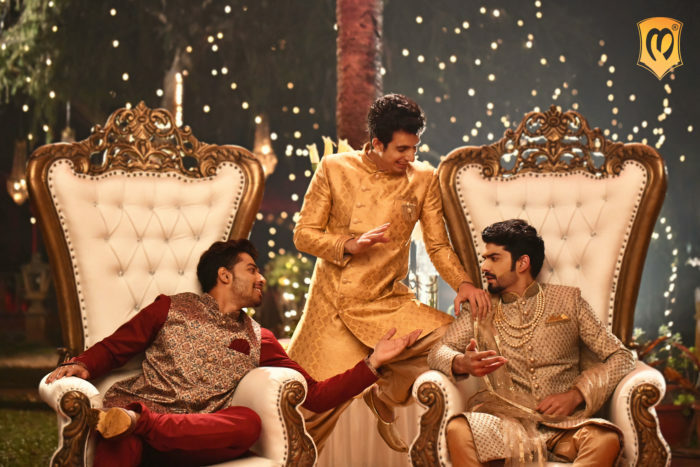 Yes, we’re talking about the stylish bridesmaids (dulhe ki saaliya) and the suave groomsmen. If you’re a member of the groom’s inner circle, you’ll probably have the most fun at the wedding. But you have to make sure that you look as well as act the part well. 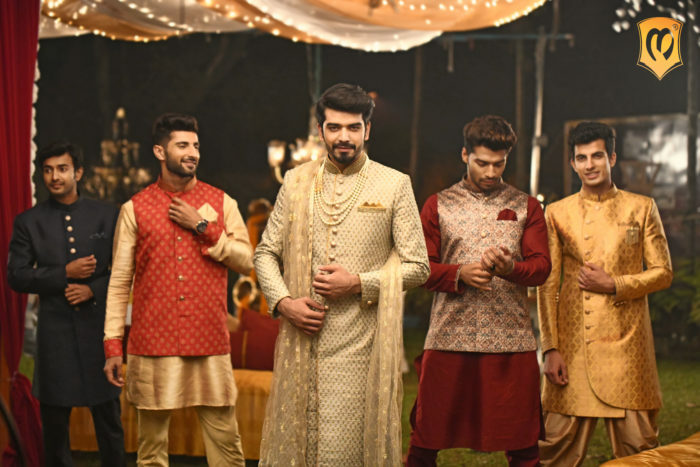 Looking the part is easy with #DressCodeManyavar but playing the part of a groomsman comes with serious responsibilities! Like planning an epic bachelor party. And creating a strategy for the ‘joota chuppai’. After all, it’s your job to keep the groom’s shoes safe. Helping out the bridesmaids with anything they require (if you know what we mean). 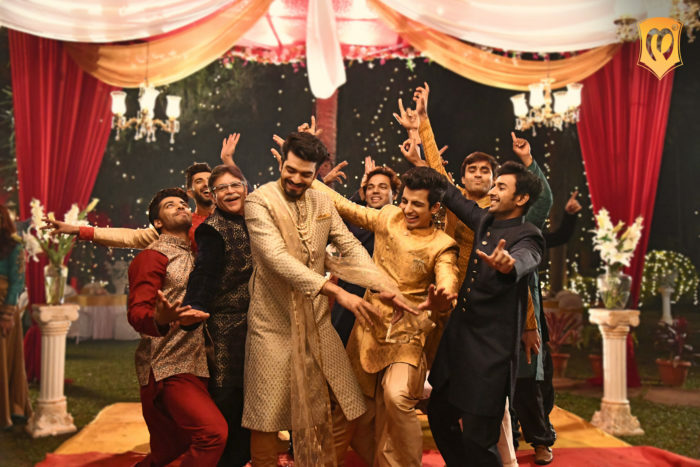 Dancing your hearts out at the baraat. 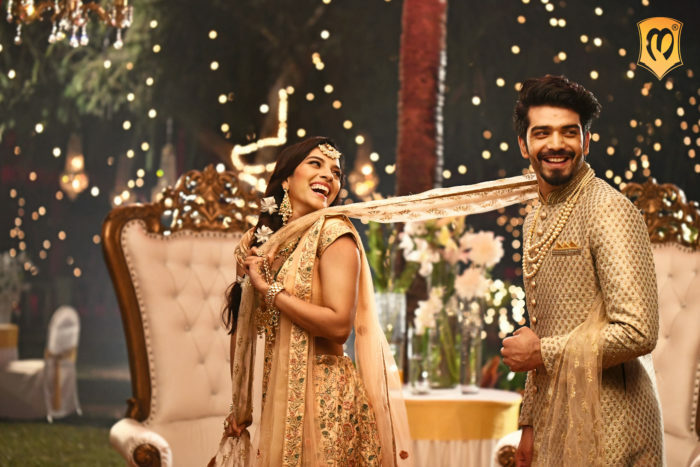 Yaar ki shaadi mein naach-gaana nahi kiya toh kya kiya? Also, posing for the shutterbugs, running errands for the groom and lifting him up during the jaimala. But the most important duty of them all is to look like a million bucks and turn heads at the wedding. Preferably of one of the pretty bridesmaids 😛 (Because fun fact: women look 10X more beautiful in lehengas and there are bound to be many who are single at weddings). For smaller functions like haldi and mehendi, the safest bet is kurta-jacket sets in pastel colours. It’s 2019, so don’t hesitate to sport powder blues, lilacs and even baby pinks. Night events call for deeper hues like blacks, blues and wines. Bandhgalas are perfect for such functions. This is also a good time to say hello to accessories. Jazz up your outfit with quirky lapel pins, pocket squares in contrasting colours and brooches. How much fun would it be for all the groomsmen to wear brooches that say “Groom’s Squad” or “Mundewale”? Planning to wear a sherwani? Opt for ones with small and quirky motifs on them. But if you don’t like too much embroidery, ombre effect is your best friend. Be open to experimenting in one function – Asymmetrical silhouettes, dhoti pants, layered kurtas, geometrical or floral prints and front-open sherwanis! The options are endless, take your pick. Let’s talk fabrics – Velvets and silks work well for winter weddings. For summers though, lightweight printed fabrics and satins are popular. Kurta-jackets in brocades and benarasi fabrics are trending at the moment. Well, what are you waiting for? 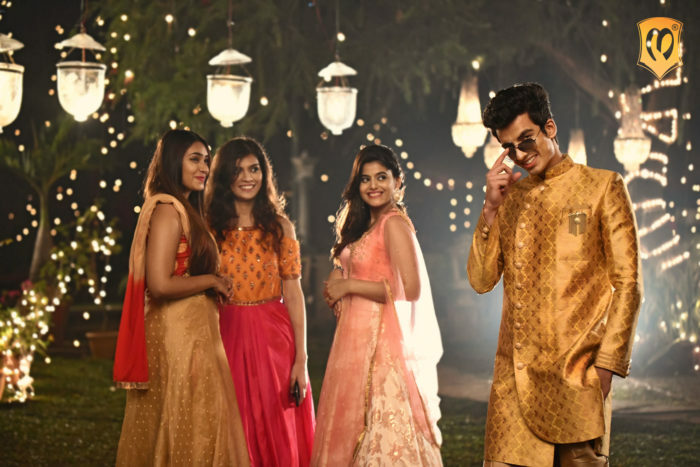 Go on follow #DressCodeManyavar and be the coolest (and best dressed) baraati at your cousin or friend’s wedding.